Next week sees a new round of UEFA Champions League and UEFA Europa League matches across Europe - and the fight against racism will be the focal point at stadiums throughout the continent, as UEFA gives its full support to Europe’s biggest anti-racism campaign which kicked-off last week. 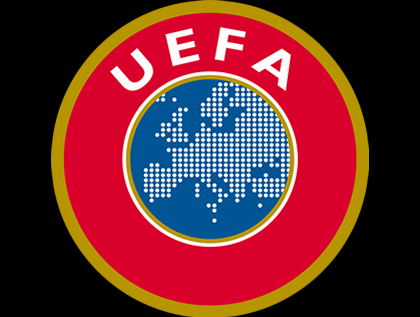 UEFA has been a core supporter of the Football Against Racism in Europe (FARE) network since a formal agreement was signed in 2001, and as the relationship has grown, so have the number and scale of anti-racism activities at European matches. European football’s governing body has a zero tolerance policy towards racism on and off the field of play, and punishes those guilty of such conduct with disciplinary measures. UEFA President, Michel Platini, spoke of his support for the activities taking place next week at European matches: “UEFA is unshakable in its commitment to fight against any type of discriminatory behaviour at European football matches, both on and off the pitch. This year, all 16 matches on Matchday 3 of the UEFA Champions League (20 and 21 October) and for the first time, all 24 matches in the UEFA Europa League (22 October) will support the FARE Action Week. PA announcements will be made in support of the initiative, giant screens, where available, will feature the Unite Against Racism logo and a 30 second “No to Racism” spot will be shown before the matches and during half-time. FARE Action Week posters will be provided for distribution at the clubs, and a page in the match programmes will be provided for a RESPECT advert. On the pitch, the 22 children escorted onto the field by the players and the three referee escorts will wear Unite Against Racism t-shirts, while the matchball carrier at each match will wear a RESPECT t-shirt. Finally, the team captains will be invited to wear the blue and yellow Unite Against Racism-branded armbands. The 10th FARE Action Week (15 - 27 October), organised by the FARE network and supported by UEFA, features some 1,000 initiatives by campaigners, fans, clubs, national associations, ethnic minority groups and youth groups across Europe. Launched in the 2001/2002 season with initiatives in nine countries, the 10th anniversary edition of the annual FARE Action Week will now involve 40 different countries.